‘TANZ’ is the German word for ‘DANCE’! ‘TANZ HOUSE DXB’ is a new independent electronic dance music event in Dubai. 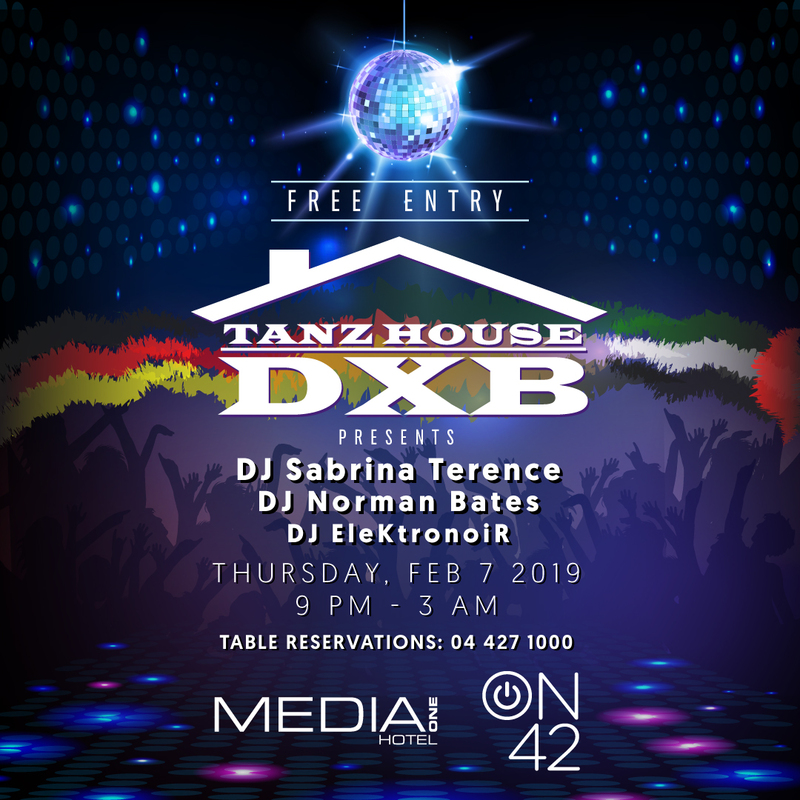 The ‘TANZ HOUSE DXB hosts are 3 German Electro DJ’s, with a strong homebound Dubai connection, presenting a powerful 6 hours independent electronic dance music event at the groovy ON42 venue at the Media One Hotel in Media City/Dubai. Headliner is the international top DJ artist Sabrina Terence, accompanied by local DJ‘ s Norman Bates & EleKtronoiR.